Although the name would imply otherwise, atypical depression may in fact be the most commonly experienced form of depression. A subtype of major depression (clinical depression) sufferers of atypical depression tend to experience depressive symptoms with less severity and experience a typically earlier age of onset, but the biggest difference between major and atypical depression is mood reactivity. People with atypical depression can experience positive emotions in response to positive life events (mood reactivity). Someone with atypical depression might experience joy and happiness while out with friends or family, and return to despair once again home alone; while someone with major depression could not experience an elevated mood in that same situation. People with atypical depression meet the diagnostic criteria for major depression, with a couple of important distinctions. They experience mood reactivity, which is the ability to feel pleasure in response to positive life events. 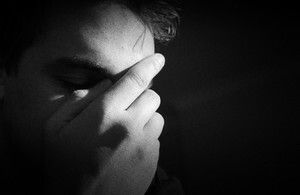 Atypical depression often has an earlier age of first onset, frequently during the teenage years. People with atypical depression symptoms are advised to seek treatment with a psychiatrist familiar with the disorder, as this subtype of depression requires appropriate diagnosis and sometimes differing treatments. Atypical depression remains an incompletely understood disorder of the brain. Scientists suspect that altered neural chemistry plays a significant role in the disorder, with the neurotransmitters dopamine, serotonin and norepinephrine most frequently implicated. While the exact causes of atypical depression remain unknown, researchers can say that certain life and genetic factors increase the risks. Atypical depression patients will typically participate in both forms of treatment, to maximize the odds that at least one type will provide effective symptoms relief. The medications that work for atypical depression differ slightly from the medications often prescribed for major depression, and it is for this reason that a correct diagnosis is critical. Tricyclic antidepressants do not work for people with atypical depression. MAOIs, a different subtype of medication, do work very well, but doctors are sometimes reluctant to prescribe them due to side effects and certain dietary restrictions associated with their use. SSRIs such as Prozac or Zoloft may provide symptoms relief, but insufficient research exists to document their efficacy. Because patients tolerate SSRIs better than MAOIs, doctors will often try SSRIs first. MAOIs may work well, but they can be tricky to live with. People on MAOIs must avoid certain foods that contain tyramine, such as cheeses, fermented foods and many others. Eating foods high in tyramine while on MAOIs can cause a dangerously high level of tyramine in the body, which can lead to symptoms such as confusion, heart problems, nausea and others.